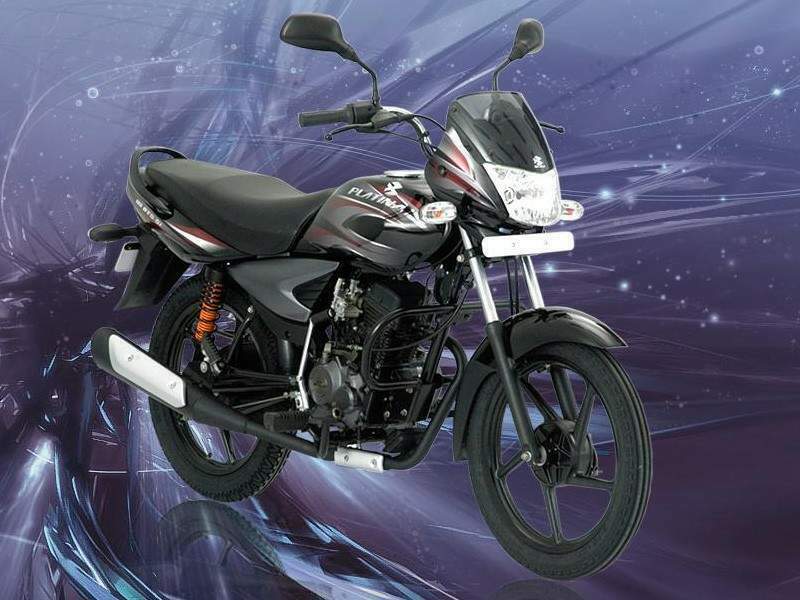 The Bajaj Platina has been the bread and butter model and the most affordable for Bajaj since they discontinued the CT100 from their product portfolio. The Platina was introduced as a volume bringer for Bajaj and as soon as it was introduced, it became a huge hit due to attractive and eye-catching design, chrome graphics and features such as alloy wheels, which were unseen on a commuter motorcycle at that time. The introduction of executive commuters, with Bajaj too rolling out the Discover, forced them to position the Platina in a segment lower. The front carries a trapezoidal headlamp surrounded by a nicely styled bikini fairing, flanked by clear lens turn indicators. The tank is designed well with absence of any modern day curves and has a clean profile to it, which though looks simple, but not bland. The chrome graphics as the earlier Platinas have been given a miss for minimizing costs, which is a downside. But still, the presence of graphics on the body panels continue to keep interest in the now aging but good-looking design. The 'Platina' monicker has been moved away from rear body panel to the fuel tank. The rear continues to carry the same oval shaped tail light, tucked inside the rear body panel, adorned by a gray finished pillion grab rail above it. The instrument console is a simple two-pod unit with an analog speedometer, odometer, fuel gauge and basic tell tale lights on board. The fit and finish and build quality is decent, with a lot of room for development still left on this motorcycle. 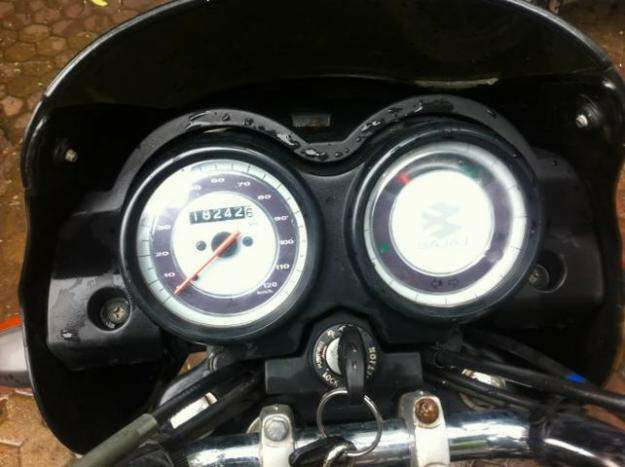 The engine is on the Bajaj Platina is a 4-stroke, single cylinder, 99.2cc ExhausTEC unit, which has done duties on earlier Bajaj commuters too, such as Discover 110 and CT100. These extremely frugal mill has decent output figures such as 8 PS of power and 8.05 Nm and provides equally decent performance on road as well. 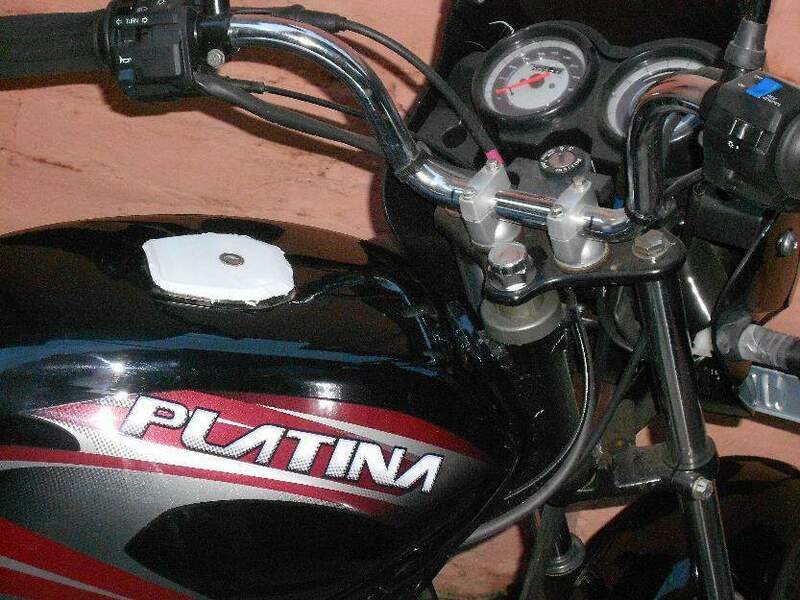 The aspect where Platina really shines is the fuel efficiency, where it leaves up to the tradition of Bajaj of being extremely efficient to the last drop of fuel. The only grouse with the mill is its poor refinement, as it sounds harsh even at lo revs, and vibrations at high revs hamper its rideability. The four speed gearbox too is clunky on operation, but the gear ratios make use of the available power by a good extent. The Platina is destined to be a decent ride, thus the suspension and ride quality has to be just adaptable to the daily city commute conditions. The front telescopic suspension and the trademark rear spring-in-spring suspension (a combination of two springs together) work perfectly, keeping the rider free off broken patches as well. The brakes are drum on both end and have decent feedback and bite on both ends, but are not that great when applied hard. The seating position is typically commuter-ish with high set handlebar and forward set foot pegs. Overall, the Bajaj Platina is a valid purchase for its price, as it offers much more than its competitors like HF-Dawn and TVS Max4R. The bike falls short a bit on engine refinement and build quality, but that aside it is a usable motorcycle for those who want supreme fuel efficiency from a motorcycle which doesn't look monotonous too.